The New Patriotic Party-led government has little choice but to end subsidies for its 800,000 farmers that will likely cost almost $450 million this season. Ghana Cocoa Board, the industry regulator in the world’s second-biggest producer, is running out of cash with few options for funding left other than to sell short-term debt to local investors at rates as high as 22 percent. Justifying a decision to end the support will be tricky. The NPP swept to power in the December 2016 polls after pledging to invest in farms and increase prices. The campaign paid off as the party won the four biggest cocoa-producing regions, compared with only one in the previous election four years earlier. Ghana has little room to support prices even if rising output from new oil fields are supporting an economic revival. While the World Bank forecasts that the economy will expand by 8.3 percent in 2018, the fastest rate in Africa, the country remains bound by conditions for disciplined spending that are attached to an almost $1 billion bailout from the International Monetary Fund, agreed to in April 2015. 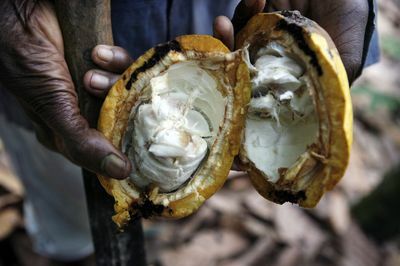 Ghana Cocoa Board is losing the equivalent of about $600 for every metric ton of the 850,000 tons that it plans to purchase this season until September, the regulator said earlier this month. 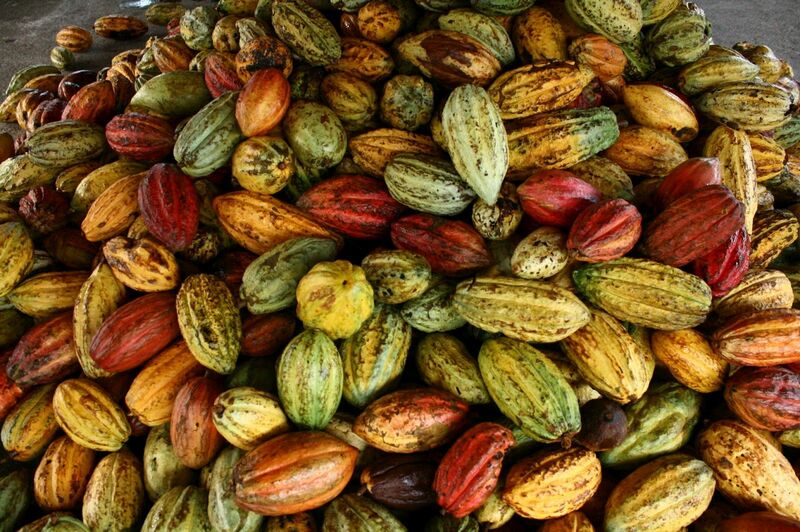 When the next harvest starts, farmers will be paid the equivalent of 70 percent of the freight-on-board price for cocoa, Deputy Finance Minister Charles Adu Boahen said in January. London futures contracts for March dropped 0.4 percent to 1,513 pounds ($2,108) per ton at the close on Thursday, paring this year’s gains for most active contracts to 9.7 percent. Ghana has been paying farmers 7,600 cedis per ton ($1,700) since October 2016, an amount which excludes buyers’ fees, domestic and international freight costs and commissions. To get by until next season, the regulator will sell as much as 2.5 billion cedis ($559 million) of debt to pay for liabilities and operational costs. It will also be campaigning to explain to producers why their payments have to correspond with international trends, Boahen said. “Paying realistic prices for cocoa is long overdue,” Edem Harrison, a research analyst at Frontline Capital Advisors in Accra, said by phone. The government “cannot spend money paying subsidies” and should prioritize spending on infrastructure and other programs that can support growth, he said. Producers will not be convinced by the government’s arguments, said Courage Martey, an Accra-based economist at Databank Group. Very few past administrations have been transparent about a pricing policy because farmers are an important bloc of voters, he said. Producers are not anticipating that the government will go through with the plan, said Johnson Mensah, head of a farmers cooperative in Enchi, a town near the western border with Ivory Coast. Cocoa is too important for Ghana for the government to make a decision that will set back the industry, said Boadi Yeboah, 69, who oversees a group of 2,000 farmers at Kwabeng. Posted by Above Whispers on February 23, 2018.